“Aloha Spirit” is the coordination of mind and heart within each person. It brings each person to the self. Each person must think and emote good feelings to others. ”Aloha” is more than a word of greeting or farewell or a salutation. ”Aloha” means mutual regard and affection and extends warmth in caring with no obligation in return. “Aloha” is the essence of relationships in which each person is important to every other person for collective existence. ”Aloha” means to hear what is not said, to see what cannot be seen and to know the unknowable. gives voice to the highest yearnings of the human heart beyond time and place. Watch it below. 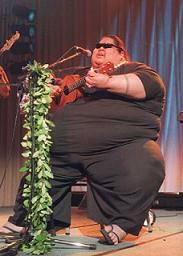 Born in Honolulu, Hawai’i on May 20th 1959, Israel Kamakawiwo’ole is perhaps one of the greatest musicians to have come from the island and arguably holds his place in the international hall of world music influential fame. Although neither his father, Henry Kalei’aloha Naniw nor his mother, Evangeline Leinani Kamakawiwo’ole were professional musicians, Israel was exposed to the depth and soul of Hawaiian music from a very young age. He would spend a lot of time at the Waikiki bar where his parents worked, a place well known for performances from Hawaii’s great musicians. His uncle too had a great influence on him and, as a professional musician himself, played a big part in the encouragement that led to Israel first picking up an instrument at age 6. After years of listening to both his mother and his brother, in addition to his uncle, playing the ukulele, Israel first took to the stage in 1970 to perform with his brother Skippy and cousin Allen Thornton. It wasn’t long before a young Israel and Skippy started talking much more seriously and later on in that year they formed the Makaha sons of Ni’hau with Louis “moon” Kauakahi, Sam Gray and Jerome Koko. The formation of this band was to herald the entrance of Kamakawiwo’ole into the world of professional music and they went on to record 5 studio albums together before Skippy’s sudden death in 1982 following a heart attack. That same year Israel married his lifelong love Marlene and later on that year their daughter Ceslie-ann wehi was born to the newlyweds. Looking back on his life many believe this year to be a turning point in his musical career as much as his personal life. The Makaha sons of Ni’hau continued to perform and record together although emphases had shifted to family life. A great deal of the Makaha sons’ music took influence from past Hawaiian musical greats whom Israel had grown up listening to. The likes of Peter Moon, Palani Vaughn and Don Ho’s styles feature heavily on their style, tone and lyrics. These key inputs into his life carried on through to his solo career as Kamakawiwo’ole redefined what was considered popular Hawaiian music and created a style of his own. In 1990 a determined and still strongly musically passionate Israel concluded work on his first solo album and Ka’ano’i was released on The Mountain Apple Company. Although not common knowledge, this album which later in the year went on to win the Hawaii Academy of Recording Arts (HARA) contemporary album of the year, takes his own middle name as the title. 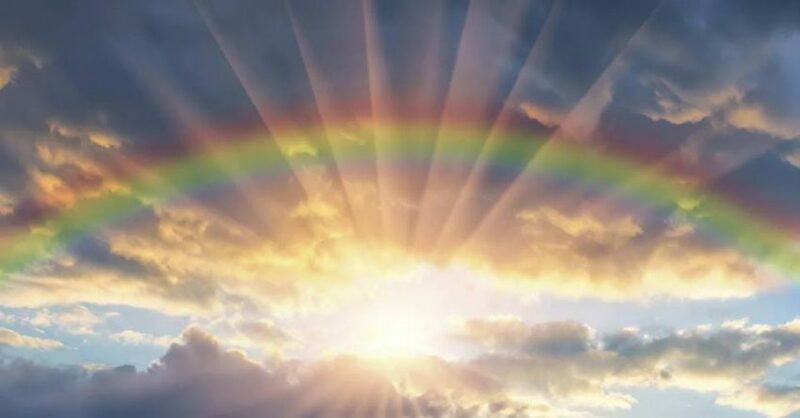 Perhaps his most internationally acclaimed song was featured on this album, the compilation of “Somewhere over the rainbow” and “What a wonderful world”. It was well known through both the music of the Makaha sons of Ni’hau and Israel himself that he was a proud Hawaiian nationalist and much of the music produced held sentiment of Hawaiian heritage, pride and independence. Hawaii 78 is perhaps the most notable example of this where amongst many other references, the national motto of Hawaii “Ua Mau ke Ea o ka ? ?ina i ka Pono” is repeated several times. It translates loosely to “the land’s life is perpetuated righteously”. 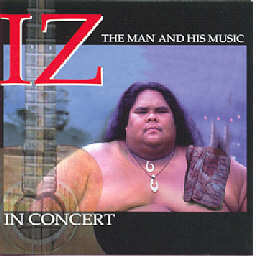 Before Israel finally committed himself fully to his individual career he went back and made a final album with the Makaha sons in 1991. Ho’oluana, the last group album, remains their best selling CD to this day, a success that can be attributed to the HARA award for Ka’ano’i the previous year. Nevertheless, this son of Hawaii was set on his solo path now and for the next 6 years, until his death in 1997 Kamakawiwo’ole shared and spread his love for his nation and its music throughout Hawaii and the world. He received several other HARA Awards including Entertainer of the year in 1994 and Vocalist of the year in 1997. His final award he was unable to receive in person but instead watched the ceremony from the hospital in which he was being treated at the time. Unfortunately there was to be no recovery from this time in care and on June 26th 1997 Israel Kamakawiwo’ole passed away at the age of only 38. He had spent much of his life fighting obesity and a respiratory disorder along with other related diseases finally took their toll. Few people have held the hearts of the people of Hawaii like this great man and this was reflected in his death. His coffin was laid in state at the state capital building, an honour that had only been delivered twice before, never before to a non-governmental official. A reported 10,000 people attended his funeral on July 2nd. After his cremation thousands of people lined the shores of the Pacific to watch his ashes being scattered into the ocean. The state continued to honour the man and the legend when on July 10th the Hawaiian flag was flown at half mast. There is no greater marker of a person’s influence on their world than to see their message and philosophy continue after their death. As the twenty first century dawned there seemed to be no slowing down in popularity of Israel’s music and in fact the growth of the internet sparked a revival in new fans and followers all around the world. Some say that his pure heart and peaceful approach to life is the biggest reason for his continued success whereas others just give credit to the smooth sounds of his unique voice and rhythmic music. Whatever the reason that people continue to follow Israel Kamakawiwo’ole, and continue to release his music, there’s no doubt that his impact on Hawaii and the world is as strong now as it ever was – and looks set to continue for a long time to come. Fans maintain a comprehensive website with a lot of Iz’s music and more info about him. Link to it here.